Inductive sensors only switch on metals. They have the advantage not to be sensitive to other materials in the environment, such as wood, plastic or pollution and are, unlike mechanical switches, free from wear. 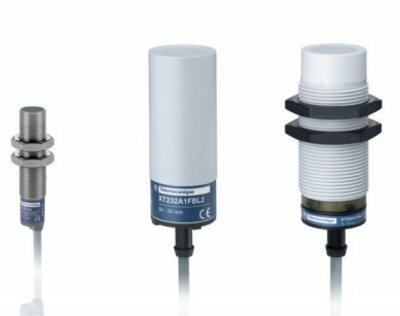 Capacitive sensors are suitable for level detection of liquids and solid materials such as wood or granulates. Sensitivity adjustment via a potentiometer.